Jules Maeght, of the Fondation Maeght, Saint-Paul de Vence and Galerie Maeght, Paris, opens his first gallery in Hayes Valley, S.F on November 14, 2014 with the highly anticipated inaugural show “Art in Motion” including works by Pol BURY, Alexander CALDER, Marshall ELLIOTT, Vassily KANDINSKY, Kirstie MACLEOD, Joan MIRÓ, Clovis PRÉVOST, Tracey SNELLING and Kal SPELLETICH. Inspired by the history of kinetic art in the Maeght collection and the fact that the new gallery is housed in one of San Francisco’s legendary inventor and machine-maker Rube Goldberg’s studios on Gough Street in Hayes Valley, Art in Motion brings together works that explore kinetic art in diverse forms. 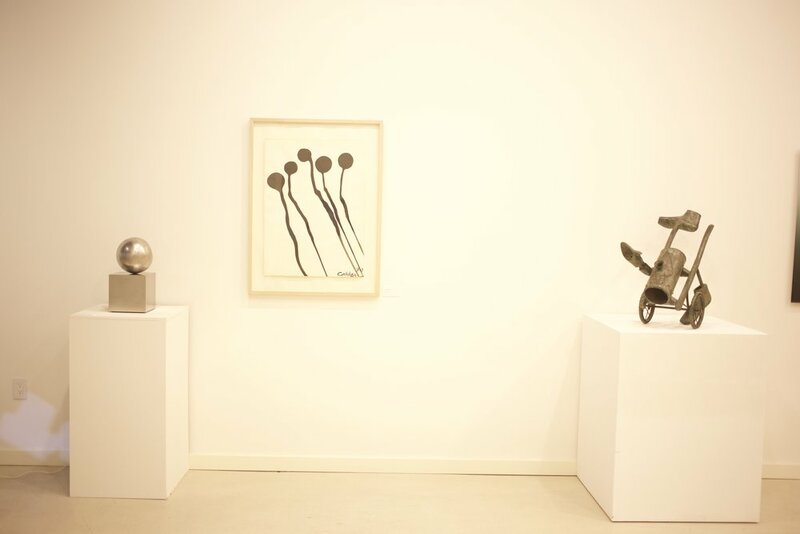 To celebrate the opening of the new gallery and encapsulating its new program, European modernists will be shown alongside Bay-Area contemporary artists whose practice involves what Calder referred to as “art that lifts figures, colors and scenery off the canvas and proves that art is not rigid”. 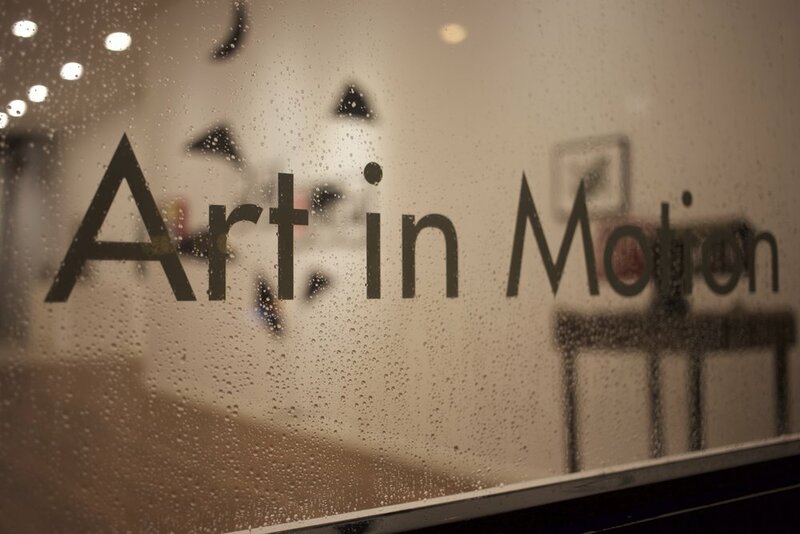 Art in Motion, co-curated by Jules Maeght and Natasha Boas, showcases works including video, drawings, paintings, sculptures and photographs, that contain movement, either perceivable by the viewer or that depends on motion for effect. Ranging from three-dimensional sculptures such as Pol Bury’s “Vingt-cinq boules sur dix plans inclinés, 1965” (Twenty-five Balls on Ten Inclined Planes); San Francisco-based artist Kal Spelletich’s new series of poetic wooden machines “Locally Euclidean, 2014”; Oakland-based artist Tracey Snelling’s mixed-media tableau of the Golden Gate Bridge 2012, to Alexander Calder’s ink and gouches on paper from the early 1970s and Vassily Kandinsky’s drawings from 1926, Art in Motion encompasses a wide variety of overlapping techniques and styles from the 20th century through today.